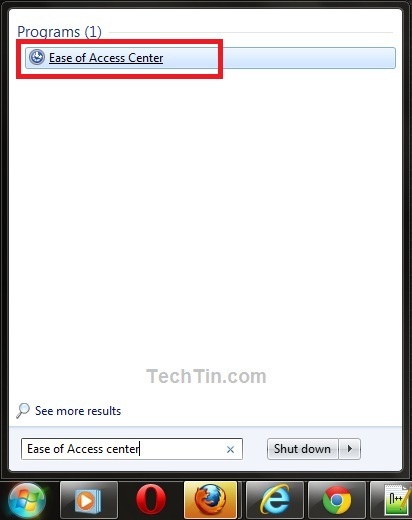 Click Start button and then type Ease of Access center in the Start Search box. In the search results list, click Ease of Access center. 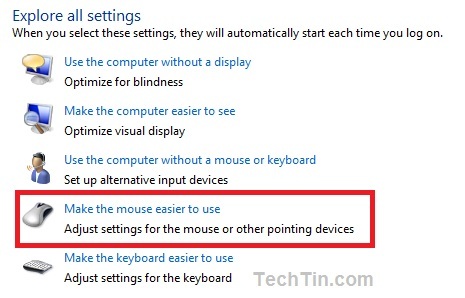 click Make the mouse easier to use link. 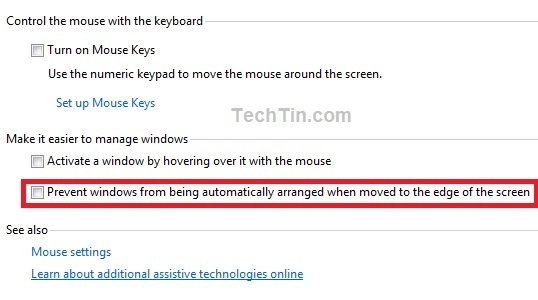 Tick option Prevent windows from being automatically arranged when moved to the edge of the screen. Click Apply Button and then Ok button to save the change.